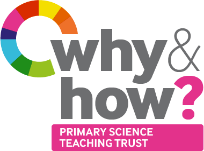 We welcome sponsorship applications from all organisations with an interest in advancing excellence in primary science education. Many of our delegates teach children all subjects, so we welcome exhibitor applications from those offering resources and support across all areas of the primary school curriculum as well as for science. For more information on costs of sponsorship, exhibiting and further opportunities please view our comprehensive Opportunities Brochure HERE. The exhibition hall at PSEC 2019 is filling up, with only a handful of stands remaining. You can view the latest Floor Plan HERE. Who can you meet? - PSEC's delegates. We have a strong international marketing campaign in place. PSTT Fellows, who will all attend the conference, are very well connected to a huge number of schools. PSTT also has strong links with academic institutions and other organisations across the UK including the Primary Science Quality Mark and its wide-reaching networks. Internationally we have well established contacts with colleagues in the USA, New Zealand and Singapore, as well as many European countries. Our exhibition puts quality first. We want to attract exhibitors who have relevant resources and support to offer our delegates. PSEC’s distinctive exhibition is integrated into the programme with dedicated time for exhibitors to interact with delegates. Many of our delegates will teach children all curriculum subjects. They will welcome meeting exhibitors offering resources and support in all areas, and in particular for maths and English as well as science. Please fill out our short application form and we will get in touch with you. Alternatively, contact Colette Mackie on colette.mackie@pstt.org.uk.